Who's suddenly feeling bright and breezy? Tickets are now on sale for the national tour of Rodgers + Hammerstein's The King and I in Boston. The touring production of the Tony Award-winning musical revival will open on April 11 at the Boston Opera House and close on April 23, 2017. Rodgers + Hammerstein's classic musical, set in 1860s Bangkok, tells the story of the unconventional and tempestuous relationship between the King of Siam and Anna Leonowens, a British schoolteacher, whom the imperious King brings to Siam to tutor his many wives and children. 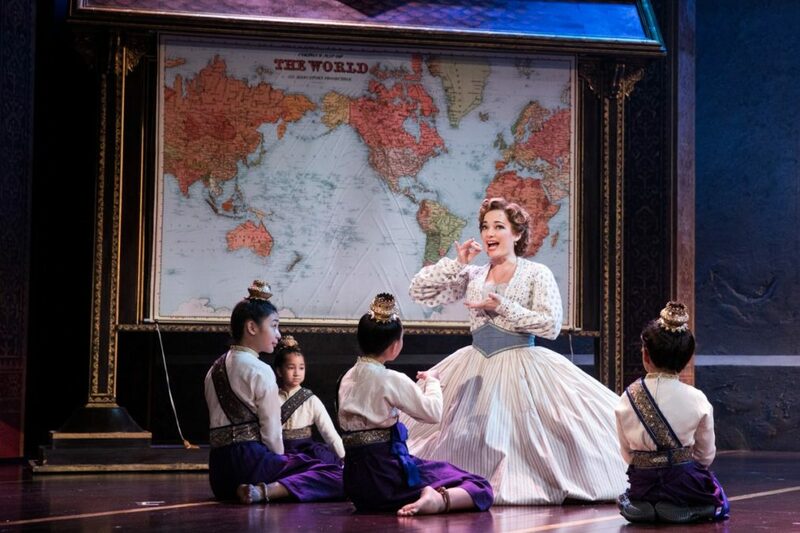 The cast of The King and I includes Olivier Award winner Laura Michelle Kelly as Anna Leonowens, Jose Llana as the King of Siam, Joan Almedilla as Lady Thiang, Brian Rivera as Kralahome, Manna Nichols as Tuptim, Kavin Panmeechao as Lun Tha, Anthony Chan as Prince Chulalongkorn, Graham Montgomery as Louis Leonowens and Baylen Thomas as Captain Orton/Sir Edward Ramsey. Directed by Bartlett Sher, the Broadway revival of The King and I received four 2015 Tony Awards, including Best Revival of a Musical and Best Costume Design of a Musical. The show includes the songs "I Whistle a Happy Tune," "Hello, Young Lovers," "We Kiss in a Shadow," "Something Wonderful," "I Have Dreamed," and "Shall We Dance?"